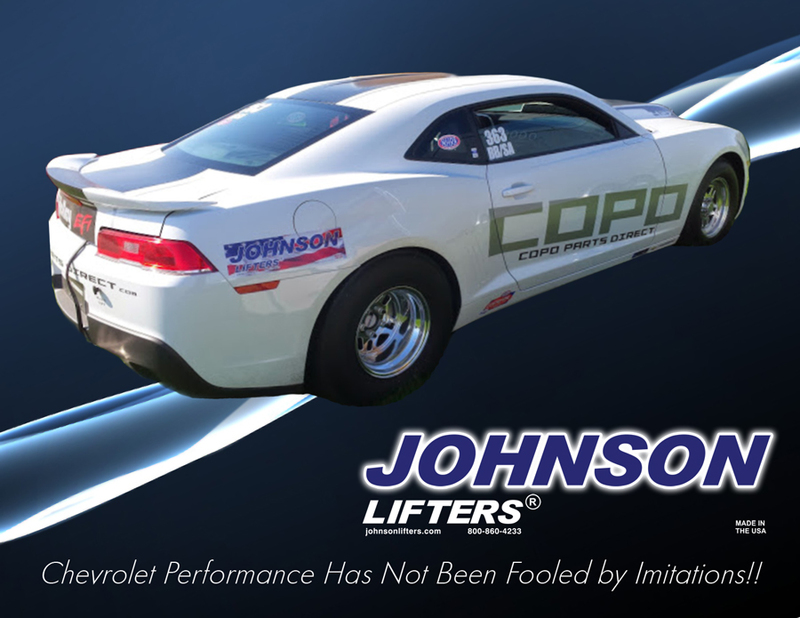 Welcome to the official Johnson Lifters® web page. 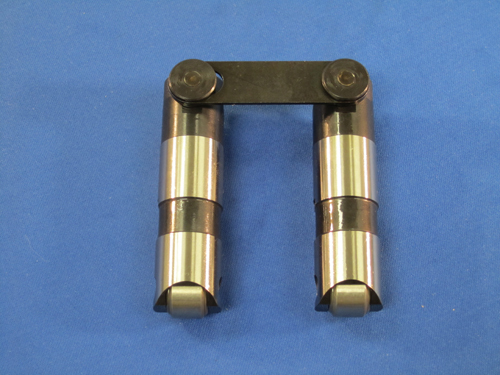 At Johnson Lifters® we continuously use research and development with tooling and techniques for innovative solutions to the High Performance Automotive Industry; Axle Oiling to accommodate High Spring Pressures, Variable duration to assist with Toque and Vacuum, High Flow push rod seats to keep rocker arms well lubed and Unmatched Metallurgy to assure a long Lifter Life. These are just a few of the innovations we currently offer. What you will find when you get your Johnson Lifters® is not only a sleek, lightweight, valve train component, but a component of the highest American quality you can buy. Throughout our 21 primary processes and 15 secondary processes the lifters are carefully inspected and tested for functionality and cosmetic defects. Take the headache out of searching for high quality lifters, you have found them! Chevrolet Performance Has Not Been Fooled by Imitations !! Here at Luhn Performance, Inc. we are proud to supply our customers with reliable, maintenance free high horsepower boosted combinations. 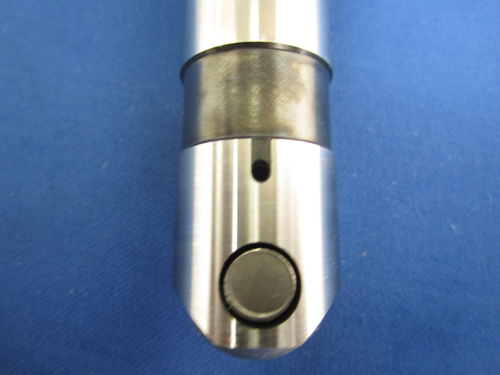 One of the key ingredients in this recipe is the high quality hydraulic roller lifters provided to us by Specialty Engine Components, LLC. The ability to offer a hydraulic roller lifter for our pump gas street friendly combinations as well as our high horsepower race engines from one vendor helps us pass on the savings to our customers. On top of the first rate quality and reliability their engineering and sales staff is second to none. Working with us to develop new products and providing us great technical support on the existing products gives us the confidence to include their parts in our engine packages. Their manufacturing and sales departs ensure that we have the product available to us to meet our customers time lines and are willing to accommodate our special needs when the need arises. We look forward to working with SEC / Johnson Lifters® and appreciate their customer service to our growing company. Mark & Jill Luhn ~ President ~ Luhn Performance, Inc.
Joe this picture below is the latest one from a race Hot Rod Magazine puts on called Drag Weekend. I came in 2nd place and went 9.85 @ 135mph in the 1/4 mile with a 1.35 60ft time, not bad for a 3,600lbs car. Thank you for all of your help. Our team was required to use hydraulic lifters for the "Amsoil Engine Masters Challenge" in our antique 1957 Chrysler 354 engine. 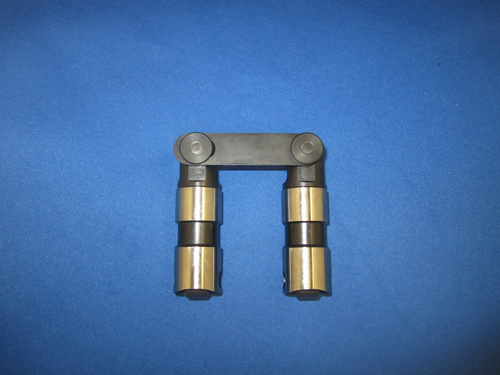 We contacted Johnson Lifter Engineering. Not only did they speak English,but developed a performance hydraulic roller lifter that helped us win the Torque Master Award, a special achievement award, and we were runner up in the total competition beating 18 competitors including two Ford hemi's. Thank you Johnson Lifter! Bob Walker Hot Heads Research & Racing, Inc.
Had what I thought was an issue with some 2110 lifters. Randy took care of the issue in a fast and efficient manner. It's hard to find good customer service and a company that stands behind their products. Thank you Johnson lifters and randy. You guys are top notch! Hi Jason Diroff Here is a copy of a dyno sheet & picture of a Ford Fe engine we built using your Lifter # 3216BB . Even this is more of a show car then a drag car your product work very well . 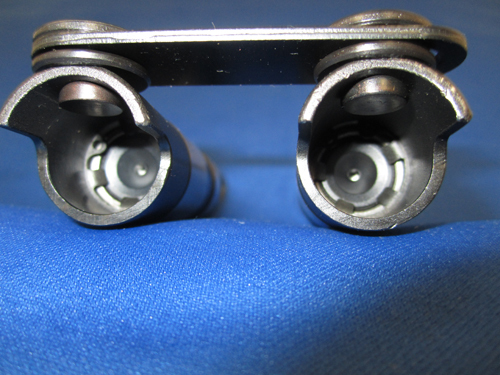 After our first valve lash adjustment we did 30 test & then re check our valve lash & did not have to readjust . Keep up with the good work & talk to you soon. This is the lifter that comes in the fastest Camaro ever produced (ZL1) that makes 580 HP. 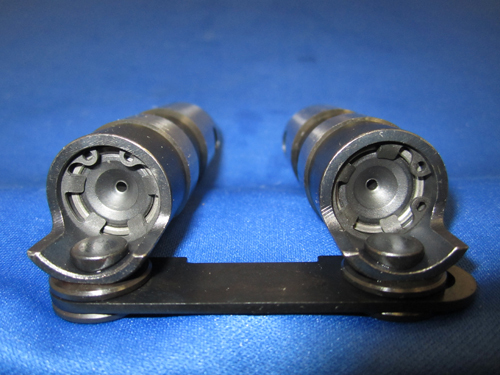 Lifters can make the horsepower you expected from your camshaft. "You either get it or you Don't"
Best quality lifters in the world. Made in the U.S.A.. Out performs all competitors. Be sure you go to one of their distributors, others are just using the name, but don't perform anywhere close to these. Wouldn't buy any other lifters, with their experience and precision, all others are crap. If you want quality and reliability this is the place to go. Just wanted to post a picture of my belated Christmas present to me. Can't say enough good about Johnson. Worked with Jason Diroff on the deal, easy to deal with and very down to earth. The lifter diameter measures out right at 0.9045" so they did deliver as expected The price was $658.80 a set (I got two sets), a $100 custom grind fee, and one spare pair at $82.25. All in all a little over $1500 total. 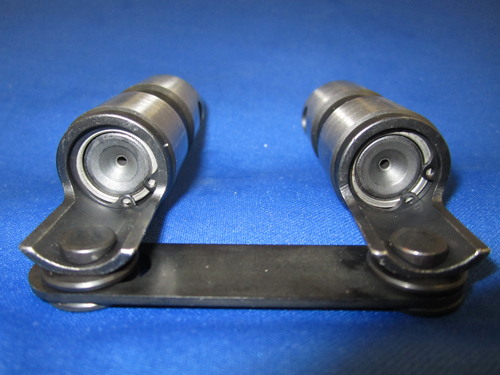 I look at it as a solution to the flat tappet problems with a rarely driven car.